You are filthy – absolutely filthy, but hey, it’s not really your fault. Germs – or cooties as you may have called them in third grade – are literally everywhere. In some cases, the inside of your home may be covered in more germs and bacteria than the great outdoors. Things like computer mice and other appliances that we touch every day have been known to have more germs and bacteria than a toilet seat. In fact, some appliances may be upwards of 400 times dirtier than a toilet seat. So, you can imagine what is lurking on your CPAP equipment – most likely nothing that you would like to see with a microscope. This is the reason why it is so important to clean and disinfect your CPAP supplies. For maximum cleanliness, you want to clean your CPAP mask on a daily basis – your other equipment probably doesn’t need to be cleaned so fervently. It is recommended to use good old soap and water to clean your mask, but it is also a good idea to keep a specialized CPAP mask cleaner on hand. 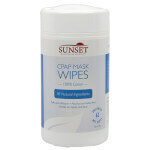 It is recommended to have a steady supply of Sunset Cleaning Wipes, which can be used if you want a quick and easy way to clean your CPAP mask on the fly. Not only will it dry instantly, but it will effectively remove dirt, grease, oils and other organic residue from your mask with no unpleasant fragrances. 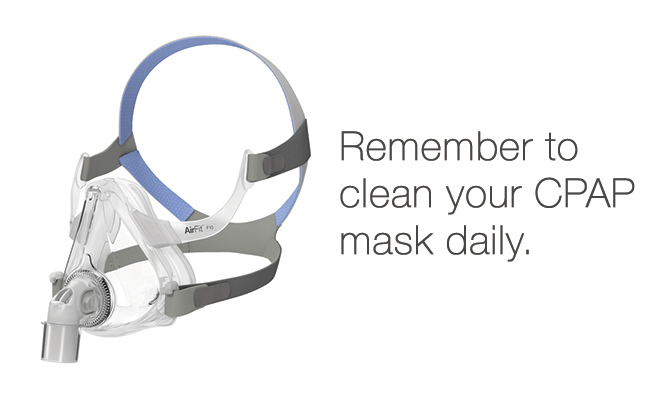 Think of it this way: if you don’t clean your mask, you may as well fall asleep with a toilet seat on your face. 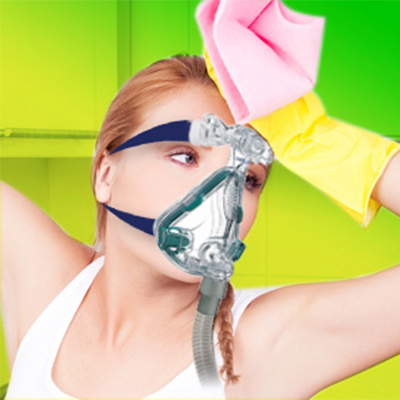 It is recommended to clean the rest of your CPAP equipment, like tubing and other accessories, on a weekly basis. The best way to clean all your CPAP equipment is to wash and rinse the components in warm, soapy water. 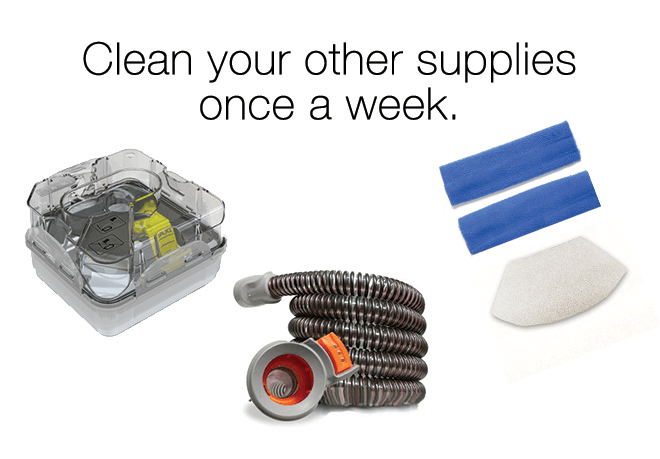 All you need is a little cleanser to get your CPAP accessories smelling fresh and clean. If you want to really remove that dirt and grime that builds up in your CPAP hose, you can use the CPAP Tube Cleaning Brush, which does a remarkable job at making sure your hose stays clean. 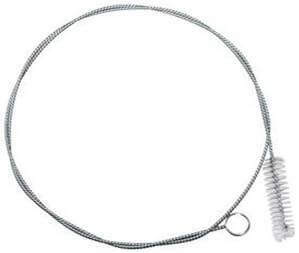 Have you ever taken a whiff of your CPAP hose after a week of use – it isn’t pretty? What Is The Easiest Way to Sanitize My CPAP Equipment? Imagine being able to destroy and kill 99% of the bacteria, viruses and mold on your CPAP equipment? Most people believe that only a heavy duty, industrial medical sterilizing machine can have that kind of disinfecting power. In fact, you can have this kind of disinfecting power in your own home. 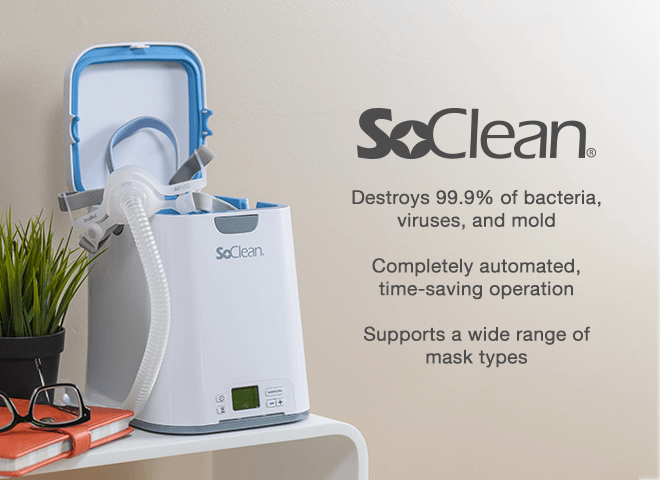 Introducing the SoClean 2, which offers one of the easiest and most convenient ways to sanitize your CPAP mask, hose, reservoir and other accessories. The SoClean 2 utilizes activated oxygen molecules, which are strong enough to destroy mold, viruses and bacteria. The best part is that the SoClean 2 is totally automated and you don’t have to take your equipment apart, which can save you a whole lot of time and frustration. Also, you don’t need to worry about rinsing or waiting for anything to dry – the SoClean 2 will tell you when your equipment has thoroughly been sanitized. SoClean also has a solution for cleaning on the go. Keeping your CPAP clean in hotels or on the road can be tough. 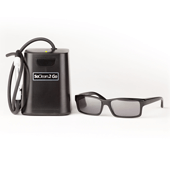 Take the SoClean 2 Go with you and leave the hassle behind. So, what are you waiting for? 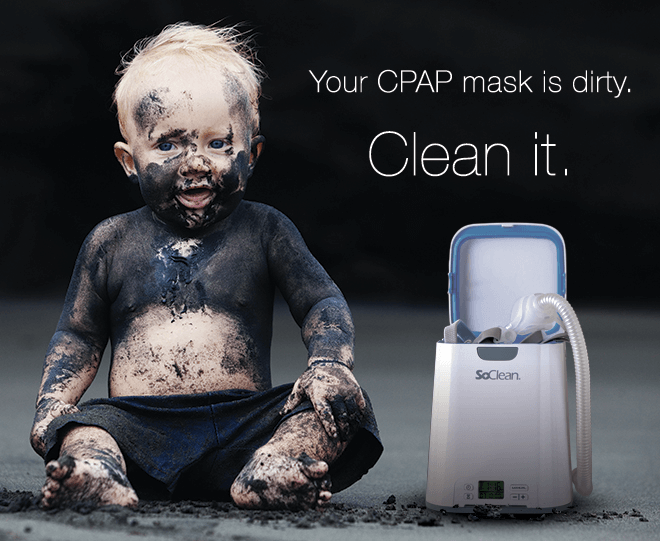 – Wouldn’t you like to breathe easier knowing that your CPAP equipment is totally disinfected and not crawling with germs?